When businesses make a major purchase or enter a joint venture with another organisation, much of their decision-making will be carried out online. Furthermore, over just the last two years, social media has been playing an increasingly important role in that buying process: 75% of decision makers use their LinkedIn network and 41% use Twitter to find the latest business articles and industry news (compared to just 16% two years previously). This means there is an opportunity to engage much earlier in the process than you could previously and in a way that adds value to the customer and builds your thought leadership in the field – but only if you do it right. Because you are entering their space here and there is no room for selling. That’s because this earlier part of the customer’s decision-making process is dedicated to researching a problem and gaining insight into different ways of approaching it. Any promotion of a specific product or service at this stage is, at best, unlikely to be registered and, worse, runs the risk of annoying the customer. This is really important because, when you consider your marketing and sales funnel, the role of social media sits right at the top in increasing the number of people who have heard of your organisation. So, any metrics and performance indicators need to accurately reflect this and the team needs to be aligned on that. 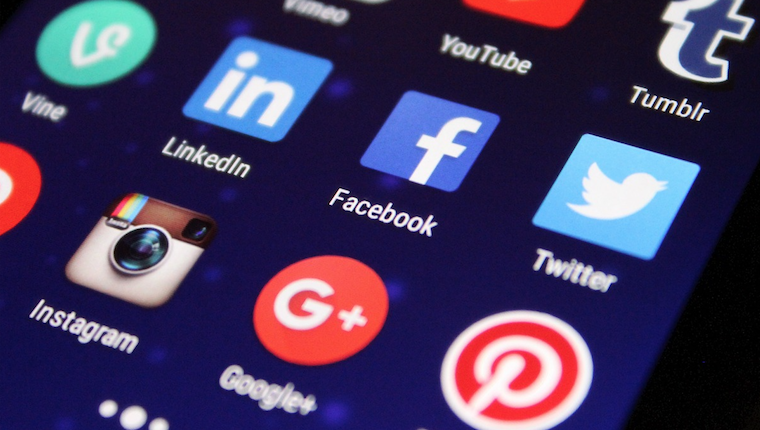 Social media also presents an excellent opportunity to contribute to other, more qualitative objectives for the organisation such as being associated with influential organisations, supporting industry issues and events as well as showing a more human side of the organisation. There is an appetite for this latter point on Twitter where many successful individuals and businesses have also shared their other passions, and as a result, the audience gets insight into their core values. To engage on social media you need to start with understanding what the customer is doing on the platform and what they are looking to achieve by using it. The more focus you have on specific customer types the more bespoke you can be with your strategy and this will have more impact. Start with segmenting your market and identifying the one or two most compelling segments for your organisation. Then, within those segments, understand the two or three most common circumstances that tend to trigger research into your field. When you’ve got a deep understanding of the common circumstances, be generous with your knowledge and experience. Share posts and articles you think will help them and their circumstances. The frequency of this differs by platform and, again, we need to consider why the reader is there. People check Twitter for the very latest information and because of this dynamic nature of Twitter, tweets may only appear at the top of a feed for less than 20 minutes before they are replaced with more recent posts. This means regular tweeting is important. However, on LinkedIn, users are connected by people, so articles might not always be relevant to them. This means it is really important not to over-post as people can unfollow you and this will be noted by LinkedIn. Engagement dominates both the LinkedIn and Twitter algorithms (even Twitter ranks a few posts above the most recent ones). These platforms want to ensure their users get value from their feed so they will reward those post that they observe as most useful to the reader. The context is important here though because most people check their social media feed on their phones and, as a result, swipe through posts rapidly. This means your post needs to immediately speak to a specific type of person and immediately tell them what they’ll get from reading more. Images are well documented as being the most effective way of doing this as the human brain can interpret the visual version faster than the written word. There is no fast track way of building a social media audience; you simply have to work on this every day until it becomes habitual. Twitter enables you to quickly and regularly connect with people and organisations simply due to common ground and shared interests. Whilst it is important to always personalise your LinkedIn invitation, you can still connect with people on a regular basis if you are confident you’ll be able to add value to them with the content you are sharing. And it’s worth this work because when you reach a few hundred connections you will start experiencing a virtuous cycle. Successful social media strategies are bespoke to an organisation and their audience. There are too many variables to anticipate what will work and what won’t; the only way you will find a successful strategy is by doing and measuring. This makes data collection essential. There are many software platforms and marketing automation packages that can do this for you and present the data in a way that immediately tells you the story. But if these are luxuries you can’t afford then some good old-fashioned counting will still do the trick. Just make sure you record it in an excel spreadsheet and factor in time once a month to analyse it. Because it’s one of those things where, only by recording it in black and white, do you get to see what has really worked and what hasn’t. If you have the data, you can analyse it, adapt and refine your strategy. Because there really is no fast track way to social media success. All those anecdotes of viral posts? What you don’t hear about is the months and years running up to that viral post spent building an audience and posting and refining. Social media is no silver bullet and equally, there isn’t anything magical about it either. You just have to start. John MacKenzie, CEO of the Roslin Innovation Centre. Alix also provides marketing advice, strategy and training for life sciences, biotechnology and healthcare enterprises.